In response to the question "Do you get a new evangelion?" There is also a suggestion that "a new aircraft will come out at Shin Eva." TMBounty_Hunter wrote: This does not mean a flying Eva because kitai (機体) is more like fuselage/airframe than aircraft and a generic term that mecha anime has adopted. Q: Is there a new Evangelion? What are you going to make of Shin Eva next? A: Do you want to hear this here? Really?? I'm not saying! It is said that we will only speak here / This is just a story. Does that mean the new aircraft will come out with sin Eva? Or does it mean that the new Eva story begins after sin Eva? I am sorry. There was a tip of the new aircraft in "Shin Eva". The only reply that tweet has is a guy wondering if it's Unit 8+2 or maybe one of the missing units like 7, 10 and 11. I guess that the Eva Series of the rebuilds (maybe they'll be named Mark.07/10/11/12 a/b/c like tha mass produced Mark.04? 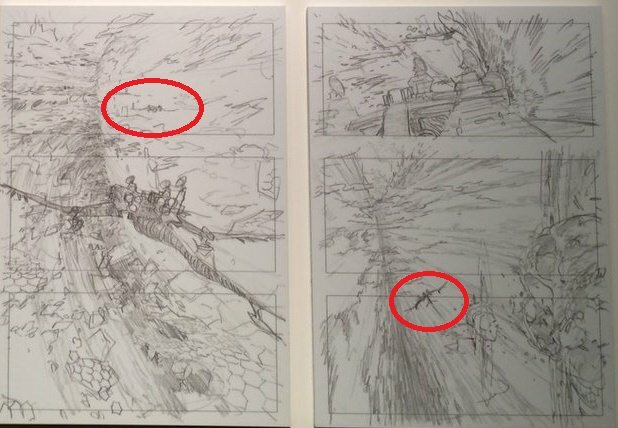 I don't think Anno wants go to higher than 13 and break the symbolism) does count as a new Evangelion and they are referring to that. Last edited by Joseki on Sat Dec 09, 2017 6:57 pm, edited 5 times in total. It's probably for Rei-Q. If Shinji is ever getting in a robot again? It's probably going to be Unit 01. Will this 'Aircraft' Eva actually fly? Or will it be like the glider pack Unit 02 wore in 2.22? I think aircraft is simply a wrong translation, or a technically right but out of context translation, and it doesn't imply a flying capability. Did I miss something? What is Shin Eva? Freeshinji wrote: Did I miss something? What is Shin Eva? It’s another name for 3.0+1.0 (I think). Shin is a Japanese word that can translate to new, true, or god (all three could apply to 3.0+1.0). I hear Japanese fans short-hand Evangelion 3.0 + 1.0 to "Shin Eva." They do the same thing for the other movies, short-handing the titles by their Japanese theatrical titles rather than their numeric titles. The Japanese title for Evangelion 1.x is actually "Evangelion Jo," which roughly translates into "Evangelion Prelude." The numeric titles (Evangelion 1.0) are the international titles for the film. I adopted this way of referring to the film simply because "Shin Eva" is simpler to type that "Eva 3.0 + 1.0," and have begun using that same method for abbreviating the other films as well. Joseki wrote: I think aircraft is simply a wrong translation, or a technically right but out of context translation, and it doesn't imply a flying capability. Or maybe it's a clue for an Wunder equilvalent ship (the dark room where Gendo and Fuyu are at the end of Q)? Machine translations are still absolute garbage for Japanese. This does not mean a flying Eva because kitai (機体) is more like fuselage/airframe than aircraft and a generic term that mecha anime has adopted. I've added your post in the OP so that it is clearer.